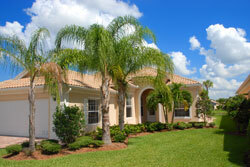 Midway Park Property Management, Midway Park Property Managers, Midway Park, NC Property Management Companies. We know that you expect not only expertise in the real estate management industry, but also the highest quality customer service provided by an experienced, caring team that knows Midway Park and its surrounding areas better than anyone in the business. Advantage Gold Realty is Midway Park’s Premiere Real Estate Management Company. Our company provides you with the highest quality management service at an affordable rate. As a testament to our quality service, we continue to grow every year through referrals from our satisfied clients and customers. or commercial ventures in Camp Lejeune, Midway Park, Richlands, Sneads Ferry, or Topsail area, you can count on us to save you time, money, and any worry associated with your valuable investment. There are many reasons for our success in the Midway Park, NC area, but the most important one is our TEAM! Years of experience, continuous training, and dedication to customer service guarantee reliable, affordable Residential and Rental Property Management Services for Midway Park, NC and beyond. Our Property Management Company is committed to helping you realize your investment goals, enhance your rental value and the future market value of your property, develop productive relationships with you and your tenants, and give prompt, courteous attention to everyone’s needs.